Fast Action doors are becoming more and more in demand, and Commercial Door Services offer the perfect service. From the supply to the installation and servicing, we can take care of every aspect. Peace of mind comes as standard with our service on all products installed! For more information about our Fast Action Doors in the Doncaster area call 07838159008 or 01302 817883. 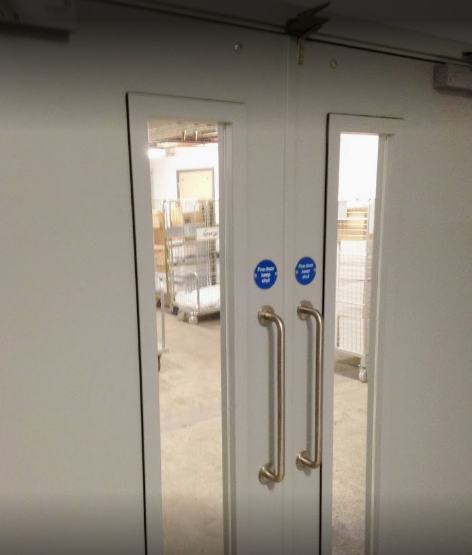 Commercial Door Services supply and install a wide range of doors in Doncaster including Specialist Doors. A Fire Door is still classed as a specialist door, however they are much more common than a few years ago. Commercial Door Services are a company that you can trust. Trust to supply a door that meets the regulation you require and trust that the door will be installed correctly for it to be effective. As shown with this latest installation, which was supplied and installed to a company in Doncaster. All the team at Commercial Door Services would like to wish everyone a Happy New Year. We look forward to continuing to offer our great range of door services across not only Doncaster but also the South Yorkshire region and around the UK. 2019 looks set to be a very busy year! All the team at Commercial Door Services would like to wish everyone a Merry Christmas! We will still be operating over the Christmas period, so any Commercial or Industrial door problems please will get in touch! Call 07838159008 or 01302 817883. Automatic doors are now replacing that of the traditional chain operated door in both the commercial and industrial market. It is obvious that the automatic door is a far superior door, security and ease of use are just a few of the benefits. However nothing is is entirely perfect and automatic doors do have some drawbacks, such as loss key fobs and like anything can still breakdown. This is why Commercial Door Services off a annual maintenance package, which brings a wide range of benefits. Such as an annual service which is a legal obligation to any business owner with automatic doors. In addition the maintenance package also brings peace of mind, knowing that you have priority to our great services! For more information about our Automatic Door Maintenance in the Rotherham area call 07838159008 or 01302 817883. The range of door services Commercial Door Services offer encompasses all aspects of a commercial or industrial business. From front entrance security gates and access barriers, to a main loading bay with automatic roller doors. 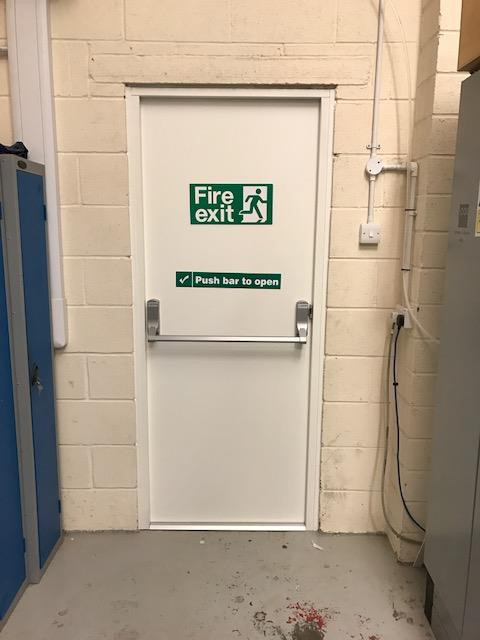 Even inside with extra security grilles and made to measure fire doors, such as these double opening doors that we recently supplied and installed. The doors have fire proof glass, which enables safety. Not just from the protection of a spreading fire, but also so that anyone accessing the doors can see if anyone is coming the other way in this very busy factory environment. Many people think installing security shutters at their business will come at a cost they cannot afford. However Commercial Door Services offer various solutions that can be very cost effective to a business that suffers with break-ins. A simple retractable security grille system is a perfect security solution for many small business owners, such as newsagents and hair salons. Theses security grilles can be installed internally, behind any shop front. Not only do they offer an extra layer of security, but the visibility of these grilles more often than not act as a deterrent. For more information about our Security Grilles in the Doncaster area call 07838159008 or 01302 817883. Commercial Door Services offer a truly bespoke service, as all doors are are made to measure. From the size and style, down to the doors operating system such as manual, electronic, or automatic. In addition Commercial Door Services, also supply our doors in a wide range of colours. We are fully aware of the importance of brand identity, especially for many retail businesses. Who want to stand out from the crowd even when closed! We can supply and install bespoke powder-coated colours to match your company branding and helping your business offer a great appearance. Even a company logo or company details can be added onto the face of a shutter / door. For more information about our Coloured Doors in the Doncaster area call 07838159008 or 01302 817883. The winter is here, and suddenly roller shutters become much more stiff! Not to mention cold and unreliable. Don’t get shut out in the cold this winter with sticking commercial shutters or doors. Commercial Door Services offer a fantastic emergency call out service, which can be essential on a cold wet morning. However Commercial Door Services also offer great rates on servicing packages. It is surprising what a little tlc every year can do for a roller door or shutter. Remember prevention is better than cure, and also a lot cheaper with Commercial Door Services! 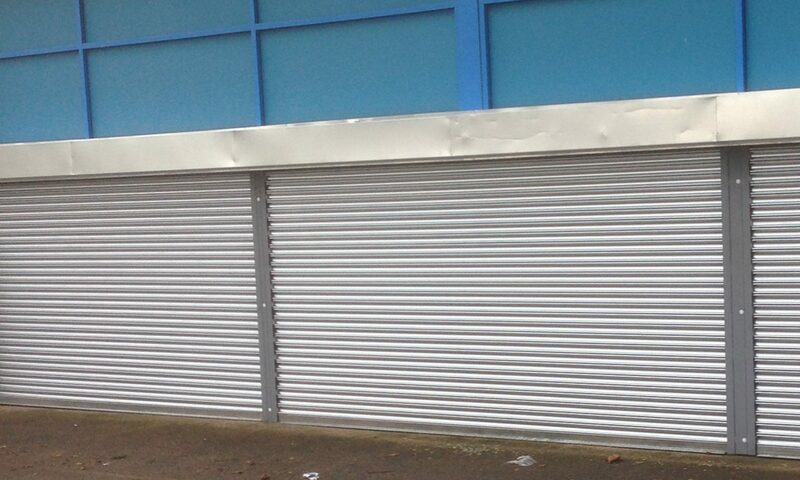 For more information about our Shutter Services in the Doncaster area call 07838159008 or 01302 817883.